It's free to register and begin creating a pitch. The first step is to answer some simple questions about your business so you can check that you meet our investment criteria. We know how important an entrepreneurs time is, so we don't want to waste it with the submission of an application if it won't be suitable for our investors. If you do meet our criteria, then please complete and submit the online overview of your pitch for our team to review. We will review your application within two working days of you submitting it, and will then contact you. If we think your pitch will be suitable for our investors, we will arrange a call or meeting. This is our chance to get to know you better and discuss the best approach to getting you funded. It's important to find the right lead investor for your business, someone who can conduct due diligence and add value once you're successfully funded. If you don't have a lead investor on board yet, we can match you with one through private introductions or one of our pitching events. After that, we can put your pitch on our online platform and open the funding to our wider network of investors. When the online pitch closes, your new investors will have private access to your dedicated investor relations portal. Here, you can provide updates on your progress, ask for their advice or let them know about future funding rounds and get consent for matters that require a vote. This makes investor communications quick and simple, so you can focus on scaling the business. It's often said that people invest in people. That's why we are always looking for the most talented and passionate teams out there. If investors feel that you work well together and can execute your ideas, then they will be more likely to invest. To maximise the chances of receiving a return on their investment, most investors look for businesses in growth markets that have the potential to expand rapidly. It's important that your business model is smart and scalable and isn't too capital intensive or requires a large workforce before creating revenue. Investors like to see that the business has moved beyond the idea stage and has some early customers or a viable product, so that there is some evidence that it will work. If your business is still at the idea stage, it's probably too early for equity funding. The value of an idea-stage business will be low, unless there is a patent or an amazing team, so you would have to sell a big share of the business to raise equity funding at this stage. A small business loan will normally be a better option. We aim to raise between £50,000 - £1m for the companies we select to pitch. If you are looking for a smaller investment amount, then we recommend that you get a small business loan to get the business to a point where it has more ambitious plans and higher funding requirements. We always want to be upfront and transparent with what we charge. Completion fee only payable when the funding round closes We believe in you, that's why we reinvest 20% of our success fee back into the round, on the same terms as everyone else. What value do lead investors add to my business? A lead investor is someone who has invested their own money into the business and is therefore highly incentivised to work with the founders to help it succeed. The lead will often mentor the business going forward, providing their expertise, skills and network of connections. Statistics show that having an investor who is actively involved is what makes all the difference to the success of a business. It's the reason that over 90% of our funded deals are still in business. Do I need an Investment Agreement? All investors in the funding round sign an investment agreement, which details the business matters and the obligations on the company going forward. It's essential that everyone understands their obligations. 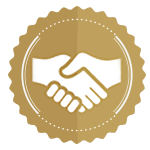 We offer all companies a fair and balanced Investment Agreement, for no extra charge, which has been drawn up for Angels Den by a leading law firm and is widely considered to be the best in the industry. Any variations to the standard terms are listed separately, meaning our investors only have to read the full Agreement once. Investors much prefer to use the standard Investment Agreement because it saves them reading many pages of legal text on each investment or hiring a lawyer. How long does it take to raise investment? We review all online applications within two working days. It then takes businesses a couple of weeks, on average, to finesse their pitch, depending on whether they have their pitch documents and video already prepared. If you have everything in place, it can be done in a day or two. The pitch will remain online for between 30 to 60 days or until you get funded, whichever comes first. The final step is to close the round using our pack of legal documents and we will then issue your shareholder certificates. If you have any problems along the way, our experts will be on hand to help.